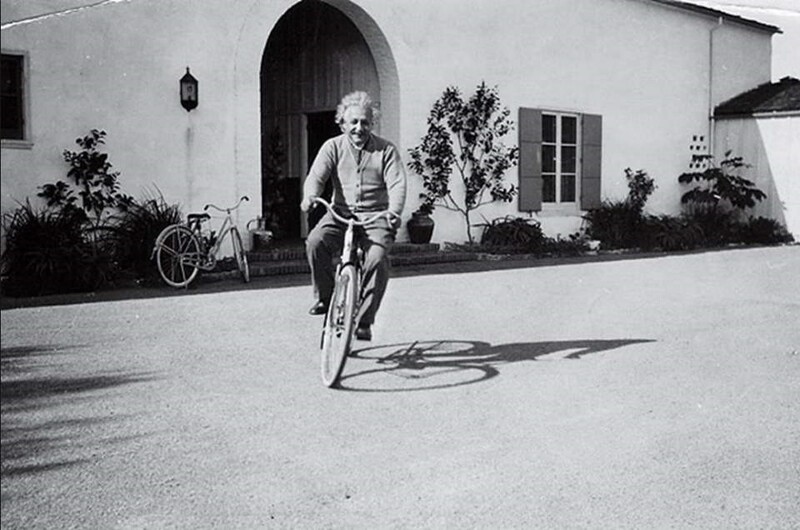 Famous People who Rode – Albert Einstein | Home of the Crofton Bike Doctor Blog! Early in his schooling at Munich University in Germany, Einstein would often take bicycle tours with fellow scientists to contemplate the world at large. It is thought he had several ‘Eureka!’ moments while out cycling.